Mineola, NY - October 13, 2015 - To help homeowners who need to file for their 2016-17 property tax exemptions, Nassau County Executive Edward Mangano announced today that he will be extending the Department of Assessment’s hours of operations from 7 a.m. to 7 p.m. every Tuesday beginning November 10th through December 29th. 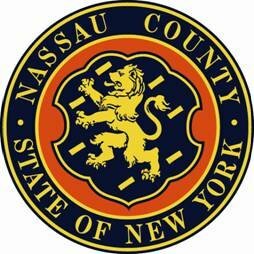 Acting County Assessor Jim Davis noted that Nassau County offers a number of property tax exemptions including Basic and Enhanced STAR, Veterans, Senior Citizen, Cold War Veterans, Volunteer Firefighters and Ambulance Workers, Limited Income Disability, and Home Improvement. “I urge all homeowners to take advantage of the extended office hours and file for a property tax exemption before the January 4, 2016 filing deadline,” stated Acting Assessor Davis. To obtain an application or for further information on the many property exemptions offered by Nassau County, County Executive Mangano and Acting Assessor Davis encourage homeowners to contact the Department of Assessment at (516) 571-1500 or visit the department website. Mangano Honors Cancer Survivor-Filmmaker Lauren Levine & "A Garden Of Thorns"
Subject: LongIsland.com - Your Name sent you Article details of "Mangano Extends Office Hours For Residents to File Property Tax Exemptions at Assessment Department"